AmericaTheBeautiful.com - The United States Destination Marketing Agency, announces the re-launch of their website, which promotes travel and tourism throughout the United States of America. Washington, DC Metro – The America Companies, LLC has released the most comprehensive privately held tourism and travel promotion website (www.AmericaTheBeautiful.com), which focuses exclusively on the United States of America, The District of Columbia and United States Territories. As a Destination Marketing Organization (DMO), AmericaTheBeautiful.com will continue to prepare and release tourism and travel information to keep travelers informed on an expansive list of tourism and travel options in the United States. 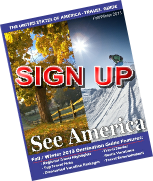 American Citizens and International visitors are encouraged to take a broader look at the opportunities, adventures and entertainment available in the United State of America and also to include more US Destinations in their travel and sightseeing plans for 2013. 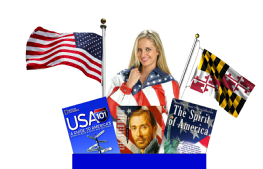 AmericaTheBeautiful.com has received enthusiastic support from the 50 United States and the District of Columbia in the creation of this tourism and travel website. Visitors to AmericaTheBeautiful.com will now have a single comprehensive source for information on all of the United States, to assist them in making travel decisions. AmericaTheBeautiful.com features high resolution State Photography in slide shows, State event calendars, State tourism videos, State facts, State maps and State Top 10 Events. Plus, the site features highlight articles, Google mapping, a United States National Parks section, a United States Top 100 list and much, much more. The company plans to make travel in the United States more attractive so that the travel industry can be boosted again. They realize that many people have lessened their travels or stopped traveling altogether because of the high costs involved, and that this in turn has a dramatic economic impact. The America Companies is working to increase tourism in America again when it is much needed. The America Companies has created www.AmericaTheBeautiful.com as The United States Destination Marketing Agency to promote travel within the 50 States of this union, the District of Columbia and the US territories in the Pacific Ocean and Caribbean. This agency will be working to encourage domestic travel and international visitation in the tourism and convention industry while promoting the Patriotic spirit of the American culture. The America Companies is aligning itself with State and Territory Tourism organizations as well as the international tourism community in order to position itself as a leading privately held international destination marketing organization. Through their website, AmericaTheBeautiful.com will entertain, inspire, educate and inform citizens and visitors on the diverse culture, amazing landscapes, natural history and unlimited opportunities that America holds dear.